Ear mites can infest a dog at any point during their life. However, most cases of this ear parasite occur in puppies rather than older dogs. When an ear mite infestation occurs in any animal in the home, it is important to have all animals treated whether or not there is any symptoms present. Otherwise, the cycle of ear mites will continue as they are transmitted between hosts. Under a microscope, ear mites are often described as looking like tiny crabs. These parasites reside in the ear canal but can also live anywhere on the body. This is especially true when they are moving to a new host. Ear mites are generally passed from animal to animal via physical contact. They are most common in outdoor cats, but can also infect dogs as well as other animals and pets like ferrets and foxes. 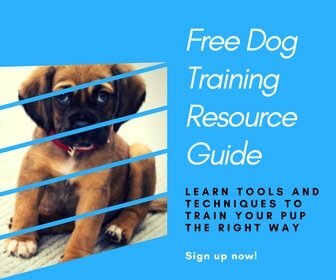 Dogs are most at risk are those that have come from pet stores or shelters, or that have recently spent time in close proximity to other animals at training classes or boarding kennels. A dog who is suffering from an ear mite infestation may shake his head and scratch at his ears excessively. When examining the ears, you are likely to find a thick reddish black discharge that may be crusty in some parts. There may also be an increased amount of earwax present. During examination it is likely the ear will be inflamed and have an overall irritated appearance. Some dogs can develop secondary infections, such as a yeast infection. This occurs because the excessive scratching creates an open wound for the bacteria to enter and cause the secondary infection. For puppies or first-time dog owners, it is best to have a veterinarian examine the ear infestation to make the first diagnosis. If an ear mite infestation occurs again at a later date, it is possible for you to purchase over-the-counter medications in order to treat your dog’s ear mites at home. Before any medication can be applied the veterinarian will thoroughly clean out your dog’s ear. He will remove any waxy buildup as well as any of the dark reddish to black discharge. This will enable the medication to be able to properly penetrate the ear and kill off the ear mites. Dogs with severe infestations may need repeated treatments for up to four weeks until all ear mites have been killed off. If you choose to purchase over-the-counter medications it is important that you look for specific ingredients. These ingredients are actually insecticides that are aimed at killing the ear mites. Any ear mite medication should either contain pyrethrin or ivermectin. Following treatment for ear mites, the rest of your dog’s body should also be treated. This is because ear mites can actually live all over the body. Be sure to clean the tail and the feet because many dogs, puppies especially, will curl their tail around their heads or lay their head on their feet. Treatment of your dog’s body can be done using any flea or tick shampoo that lists pyrethrin or ivermectin as one of the active ingredients. Ear mites can be transmitted between dogs, cats, rabbits, small pets such as gerbils or hamsters and even ferrets. Fortunately, ear mites cannot be transmitted to humans. However, it is important to have all household pets treated for ear mites. Even if only one pet is affected, they can spread to other pets quickly. P.S. Help a friend with ear mites in dogs by pinning this!